Hong Kong never ceased to amaze me with all the wonders it contained in such a tiny space. In the space of a few days I went hiking on a secluded island to sailing on a junk boat in the harbor of Aberdeen. Can you do that where you live? 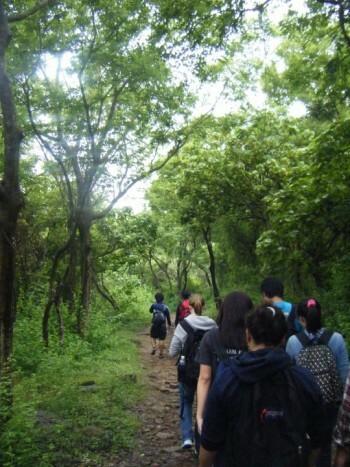 On Sunday, a couple of local students who are “buddies” with some of my exchange student friends invited a group of us to go hiking on a little island (a “Geopark,” which I guess was Hong Kong’s version of a nature preserve) in the most northeastern part of Hong Kong called Tung Ping Chau. Amazing that just an hour and half from Hong Kong this kind of untouched wildness still existed. In order to get to this island we had to take an hour and a half hour ferry ride from Kowloon Tong, which only left once a day at 9:15 AM. In order to make this ferry, we had to be ready to leave UST at 7 AM! Ugh… up at the crack of 6:25 on a Sunday morning, I dragged myself out of bed to go hiking on tiny island in Hong Kong all afternoon. 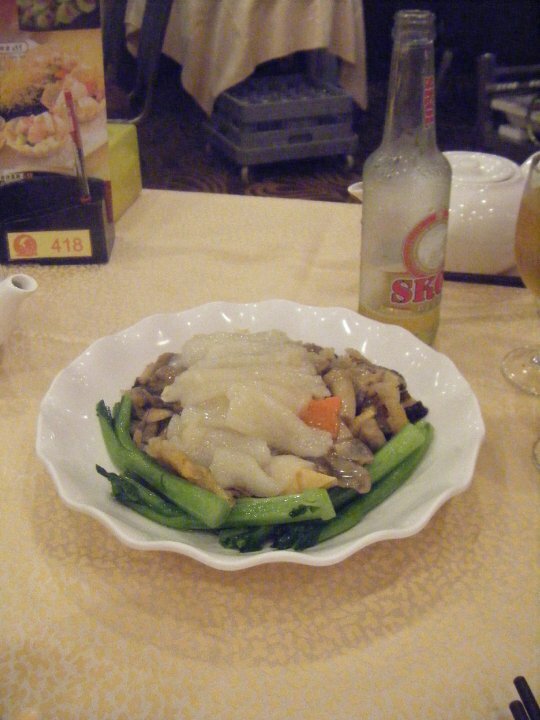 Once we assembled ourselves, though, and got to Kowloon Tong and then Tung Ping Chau, it was all worth it. The island was gorgeous! It was tiny enough that you could hike the 6 km trail in about 3 hours or so, but we took much longer because we stopped to take pictures: of the beautiful beaches (I collected actual Hong Kong seashells), the rock formations made by the water erosion, the trees and forest vegetation we hiked, and we also stopped for snack breaks throughout the morning. At the end of our hike when we had made the full loop, there was a restaurant to reward us and we ordered lunch (with much help from our Cantonese speaking friends), talked and laughed and ended up playing cards on the beach until the ferry returned at 5:15 that afternoon to pick us up. After we all arrived back in Kowloon Tong, sandy and tired, one of my friends, Ali asked if anyone wanted to go grab some dinner before going home. Most people had too much homework that had been neglected for too long to go, but since I was not one of those folks I agreed. 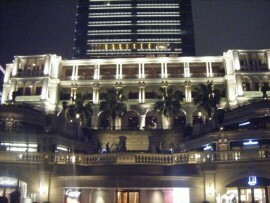 We ended up going to Tsim Sha Tsui, and we met some of Ali’s Iranian friends there. I also learned from Ali, prior to meeting these PhD students from Iran, that unless they stuck out their hands to shake mine upon meeting me, I should not be the first to offer a handshake – apparently for Muslims, touching a girl that’s not related to you or your wife is pretty taboo, especially for the older generations. 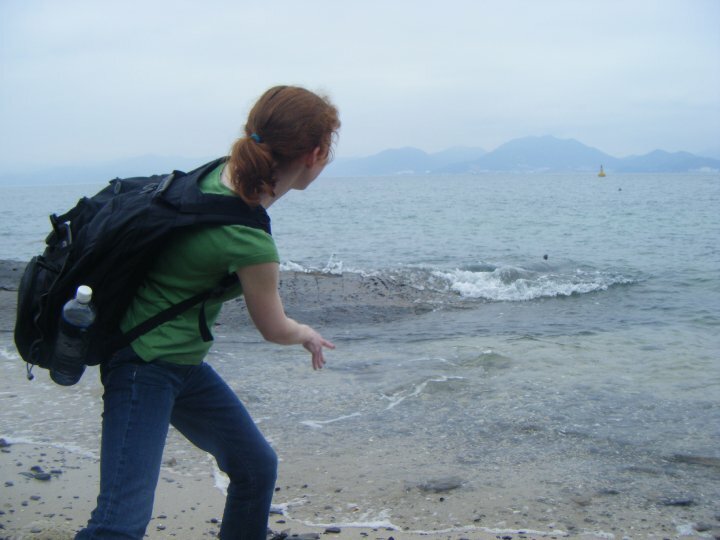 Look at that awesome rock skipping prowess. Perfect form. I learned a lot that night about Middle Eastern culture from Ali during my semester abroad, and I’ll always be grateful I can count him (and the rest of the Iranian students, actually) as friends. So we met them (no handshaking went down), went to a kebab restaurant nearby called Ebenezer’s, which serves Halal dishes, and had a very nice dinner – I had fish curry which was excellent, and the four guys we met up with put away enough pizza and kebabs for an army. After dinner, we wandered around TST and they showed me a courtyard in an outdoor mall I’d passed several times that has the Asian countries of the world set into the ground like on a globe. We also saw the Hong Kong Bell Tower, which used to serve to synchronize all the clocks of the ships out in the harbor by dropping a ball down the tower at 1 PM each day. Genius. Finally, we rode the Star Ferry across the harbor from TST to Wan Chai, which I have to say, was one of the coolest things you’d ever see. Seeing all the buildings surrounding the harbor lit up at night never got old to me, and the pictures I took just didn’t do the real thing justice. The fancy outdoor mall with the World map on its floor. Monday, I had another exciting day (I played hooky and went out to the city instead of to class). I went to Aberdeen, which was close to the New Territories and more towards the southern part of Hong Kong Island. Aberdeen was a storm harbor where up until a twenty or thirty years ago, a population of about 20,000 boat people lived, worked, and died on their boats. Now it was much tourist-ier with lots of high rises and yachts and even a restaurant moored in the harbor, but it was still great to see the old junks scattered around the yachts and newer speed boats. The best way to experience Aberdeen was to bargain with one of the many boat people for a tour around the harbor. My friend and I did this and we got a private tour of Aberdeen, which was excellent. 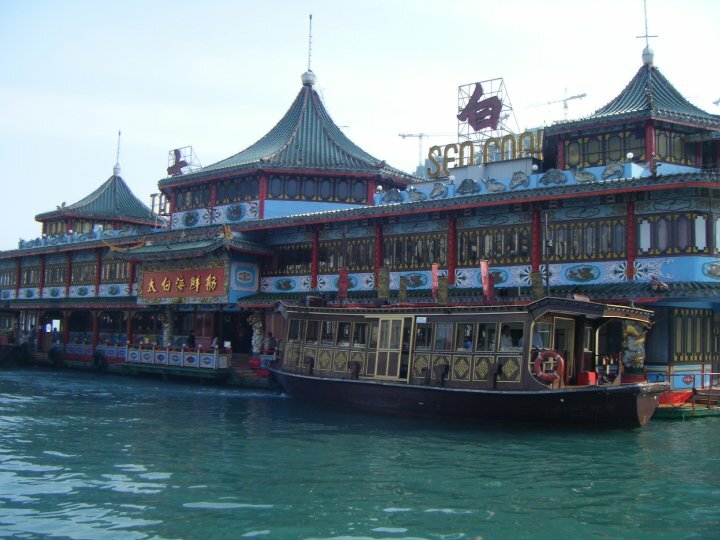 We saw the famous floating restaurant called “Jumbo Kingdom” which sits in the middle of the harbor, we saw other little junks (small fishing boats) like ours taking tourists around, we saw people who still lived almost entirely on boats, and yachts, and people just out fishing for the fun of it and best of all – the sun came out! I actually had to shade my eyes! It was wonderful! After our boat tour, we wandered around the streets of Aberdeen strolling up and down – we missed going into the Tin Hau temple nearby by fifteen minutes (darn), but it didn’t matter too much. A little later, we had dinner at this really excellent seafood restaurant in Aberdeen called “Seafood Carnival Restaurant,” and as usual, I’m not sure what some of the things ordered were, but they tasted delicious! I know that one dish was described in English as “vegetables, scallops, squid and delicious ingredients,” and it was pretty true to its name, in my opinion. All in all, we ended up having an excellent day. One of our dinner dishes at Aberdeen’s Seafood Carnival Restaurant – delicious! And that was the latest from my end of the world. It was probably longer than I intended it to be, but once I got to telling what was going on, it turned out to be more than I realized. Stay tuned for my next Hong Kong blog – it involves balloons, birthday cakes and beach barbecues! 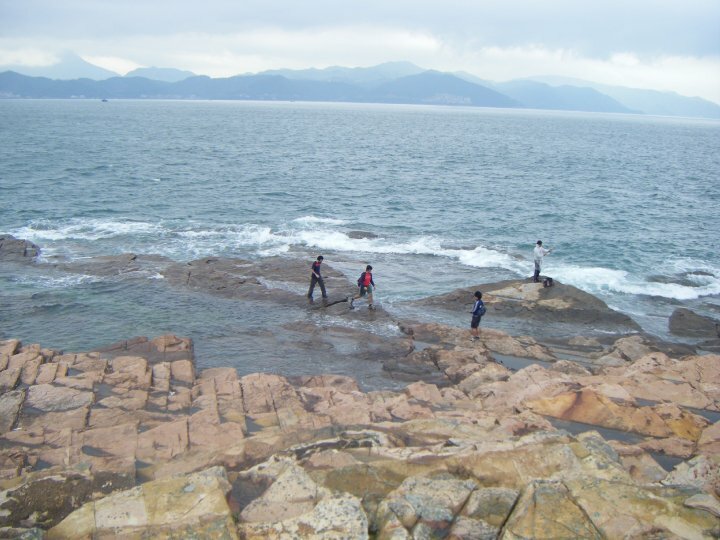 This entry was posted in Asia, Hong Kong and tagged Aberdeen, Asia, Geopark, Hike, Hong Kong, Hooky, Seafood, Travels, Tung Ping Chau on April 14, 2014 by Paige N..